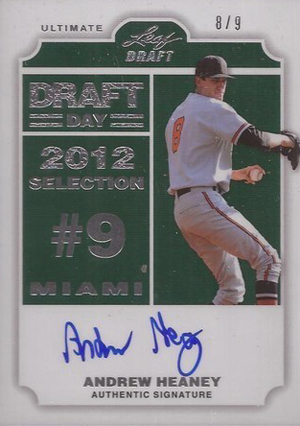 2012 Leaf Ultimate Draft Baseball brings more prospects to the hobby via an all-autograph release. Signers are either high draft picks or top international prospects. Leaf's final baseball release of 2012, they are also promising their smallest print run for the sport. Boxes come with five cards. All are autographed. 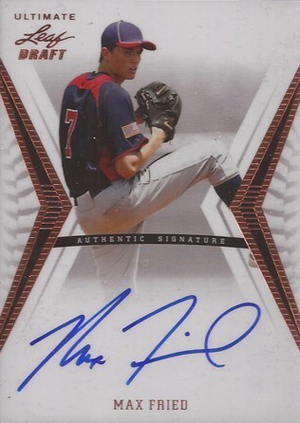 Base autographs include several levels of parallels numbered as low as 1/1. Jorge Soler, Byron Buxton, David Dahl and Albert Almora are among those appearing in the set. 2012 Leaf Ultimate Draft Baseball also has several insert sets. Draft Day Autographs come numbered to the player's draft position. The earlier in the draft they were picked means a lower print run. For first overall pick, Carlos Correa, it means his card is a one-of-one. 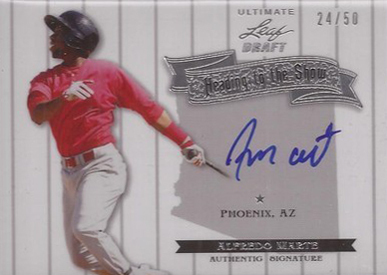 Numbered to 50 or less, Big Sticks Autographs highlight the game's top offensive prospects. 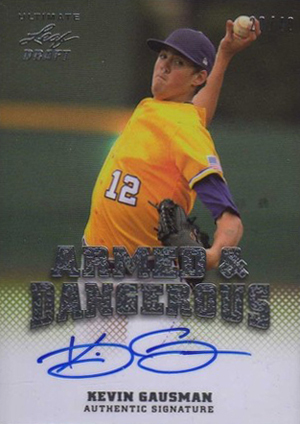 Armed and Dangerous Autographs takes a similar approach, only with pitchers instead. Heading to the Show Autographs (#/50 or less) note the player's big league affiliation. 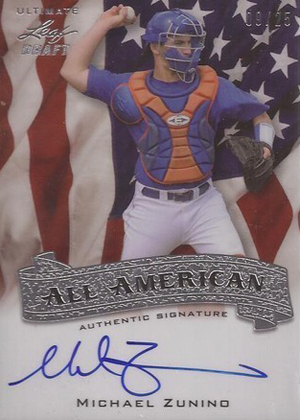 All-American Autographs (#/25 or less) has a checklist that includes only the top players from the 2012 MLB Draft. All inserts have numbered parallels. Randomly inserted Ultimate Bonus Redemptions are good for various items. These include pieces of autographed Pete Rose memorabilia and slabbed autographed rookie cards. 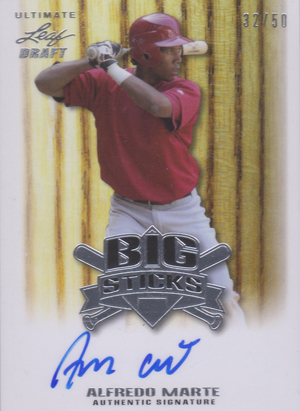 Avery Romero AUTO 2012 LEAF ULTIMATE DRAFT BIG STICKS 1 40 Autograph First One!